A Year of Being Here: Juhan Liiv: "Leaves Fell"
"Leaves Fell" by Juhan Liiv, translated from the Estonian by H. L. Hix and Jüri Talvet. Published in Poetry (June 2011). 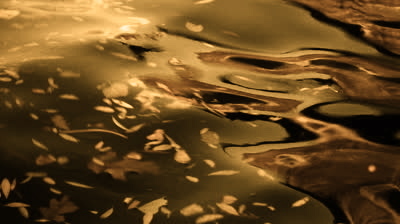 Photography credit: "Leaves Floating on the Waves," still from video clip by Bote1973 (originally color).